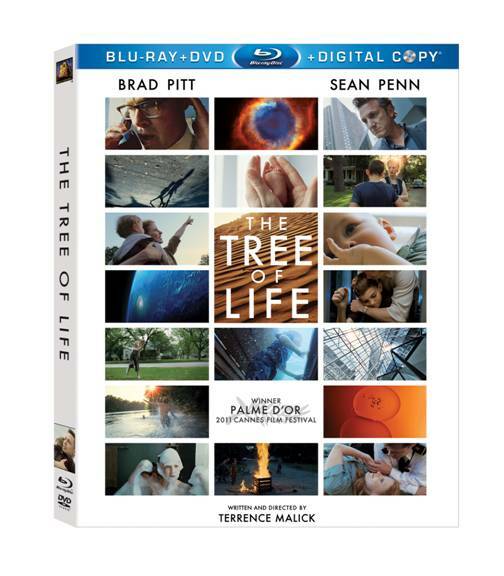 Tree of Life with Brad Pitt and Sean Penn is available on DVD October 11th. 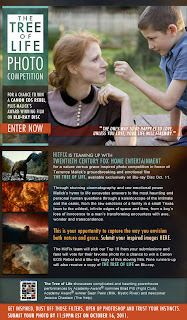 The film is the 2011 Winner of the 2011 Palme d’Or and the FIPRESCI Grand Prix. Bring home acclaimed writer/director Terrence Malick’s (Badlands, Days of Heaven, The Thin Red Line, The New World) thought provoking film experience THE TREE OF LIFE, available exclusively on Blu-ray Disc Combo Pack October 11 from Twentieth Century Fox Home Entertainment. THE TREE OF LIFE showcases complicated and haunting powerhouse performances by Academy-Award® nominee Brad Pitt (Fight Club), Academy Award® winner Sean Penn (Milk, Mystic River) and newcomer Jessica Chastain (The Help). 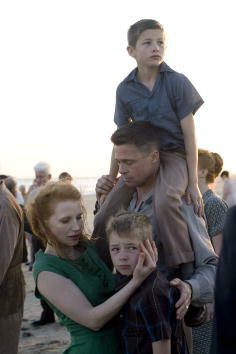 An impressionistic story of a Midwestern family in the 1950's, the film follows the life journey of the eldest son, Jack (played as an adult by Sean Penn), through the innocence of childhood to his disillusioned adult years as he tries to reconcile a complicated relationship with his father (Brad Pitt).